Want to work for a company where your efforts count for more because they aren't drowned out by company politics? Rush Logistics is looking for energetic self-motivated salespeople to join our workforce. We look for outgoing people who can think quick on their feet and enjoy being challenged. We offer training, salary plus commission and an upbeat work environment. Some Jobs just don't Add up. When you add in the time spent commuting, your dry cleaning bill, gas money and the hidden cost of driving, how much do you really make an hour? Rush Logistics' employees don't have these expenses so they keep more of what they make. Rush Logistics is currently seeking a sales representative. Qualified candidates must have experience selling dry van full truckload transportation, and a positive outgoing attitude. Work from anywhere. Base Salary, Bonuses, Commission and benefits. Why sell for Rush Logistics? As a sales professional your success depends on the quality of your relationships. Why not help ensure and enhance that quality by selling for a company that gives the most reliable and high quality service available at the best possible price? 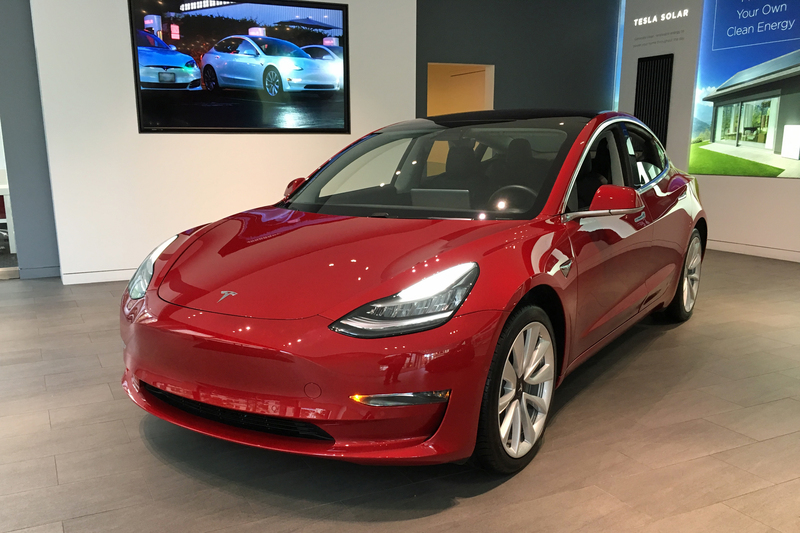 Sell for Rush Logistics and drive a Tesla Model 3. Visit your customers in the safe, sleek and zero emissions Model 3. Full time position available for confident college graduate with strong communication skills. Position based in Chicago's Lincoln Park neigborhood and focuses on the negotiation of short-term commercial transportation contracts. Base salary, commission, bonuses, medical insurance, retirement plan. First year compensation in the mid 30s to mid 40s with excellent potential for significant continued increase.